Stephen’s pioneering work at Ashton Hills was one of the catalysts for the development of the Adelaide Hills as a wine region. In the early 1980s, the Adelaide Hills wine scene was very much in its infancy, with Brian Croser leading the charge but very little other vineyard development underway. Along with Croser, Stephen was one of the key players to put Adelaide Hills on the map with his resolve to produce the best pinot noir in the country from his site in the Piccadilly Valley. 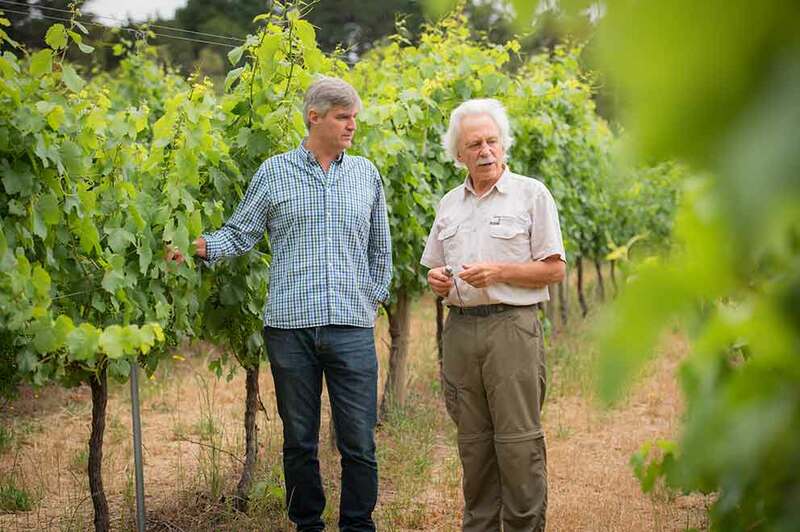 Buying the land from a market gardener, Stephen recognised its immense potential, often telling friends that “where apples and cherries grow, it’s a good pointer for producing classic European style wines”. The Ashton Hills Vineyard provides the fruit for the majority of Ashton Hills wines including single vineyard wines in the Reserve Pinot Noir, Estate Pinot Noir and Riesling. 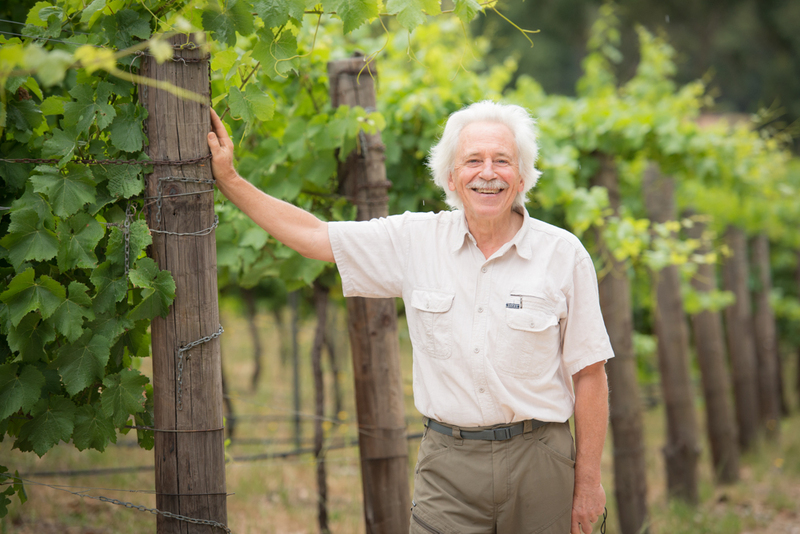 As custodian of the vineyard for over 30 years, Stephen has harnessed the three key climate variables (humidity, temperature and rainfall) he believes are critical to the Ashton Hills site and developed a reputation for producing some of the finest wines from the Adelaide Hills. 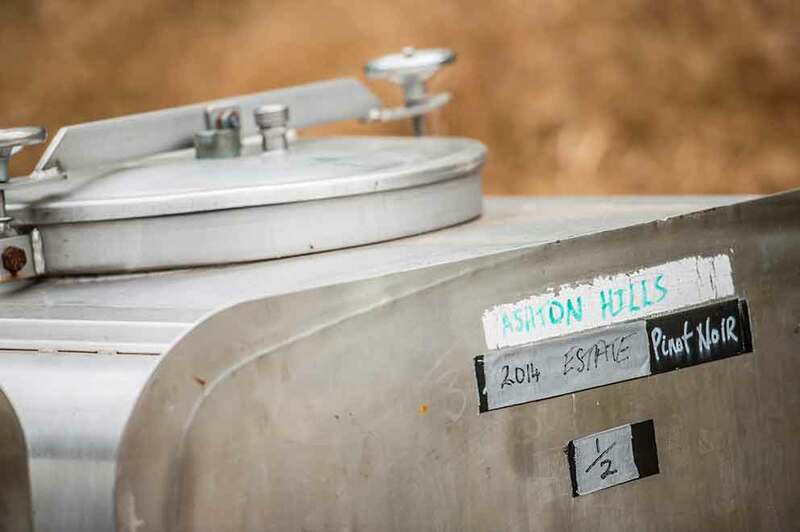 Nestled in the Piccadilly Valley, the Ashton Hills vineyard is climatically different to the rest of the Hills, being significantly colder and wetter. At one of the highest altitudes in the Adelaide Hills the vines shudder through some of the coolest growing conditions in the country, with rainfall a whopping 1200mm a year, well over double that of the Barossa Valley. 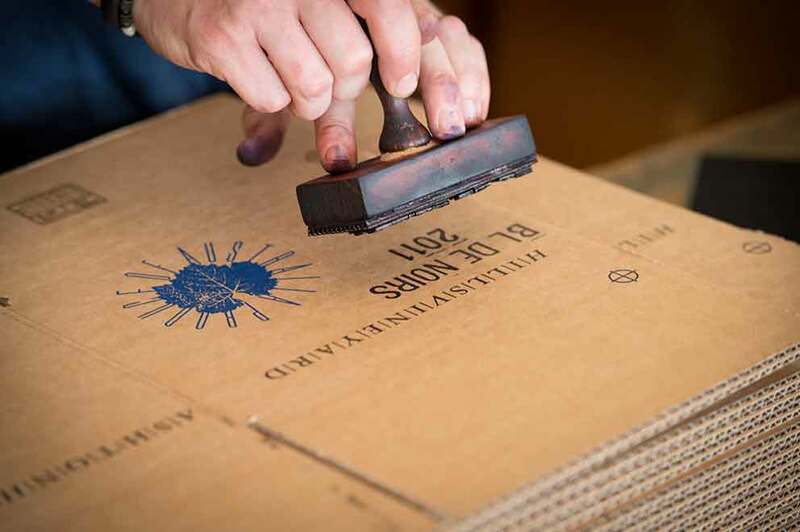 So whether it’s the lifted perfumes and elegant structure of the pinot noir or the crisp purity of the riesling, Piccadilly Valley’s bona-fide cool-climate imprint is a feature of the wines. The vineyard has evolved substantially since it was planted in 1982, a time when modern viticulture in the Adelaide Hills was just starting to be embraced. 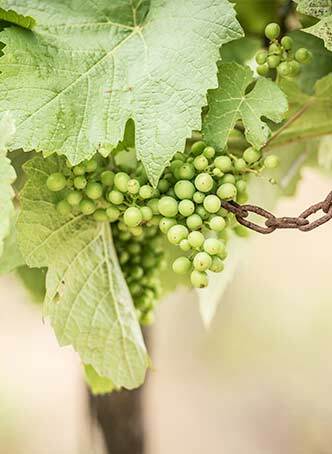 The clonal development of the vineyard has been a critical element in the final blend of each wine, taking advantage of the individual character of each clone in a given vintage. Over the past 26 years, significant changes have been implemented in the vineyard, with the grafting or removal of nearly all other varieties to complete an estate that is dominated by pinot noir, but with a small parcel – just eight rows – of top notch riesling remaining. In addition to the Ashton Hills estate, Stephen has partnered with the late Jim Grigg and his vineyard next to the cemetery near Uraidla in the Piccadilly Valley, to make the Ashton Hills Piccadilly Valley Pinot Noir. As the site is warmer, drier and has deeper soils, the fruit at Cemetery Block is typically picked a couple of weeks earlier and the wine showcases the character of the site with more muscle and ripe fruit flavour than the higher and cooler Estate vineyard. The contrast is distinctive and compelling and makes for a brilliant pinot noir blend. To round off the range with something a little different, Stephen has consistently sourced fruit from Wendouree’s acclaimed vineyards in the Clare Valley to make a spectacular Sparkling Shiraz. 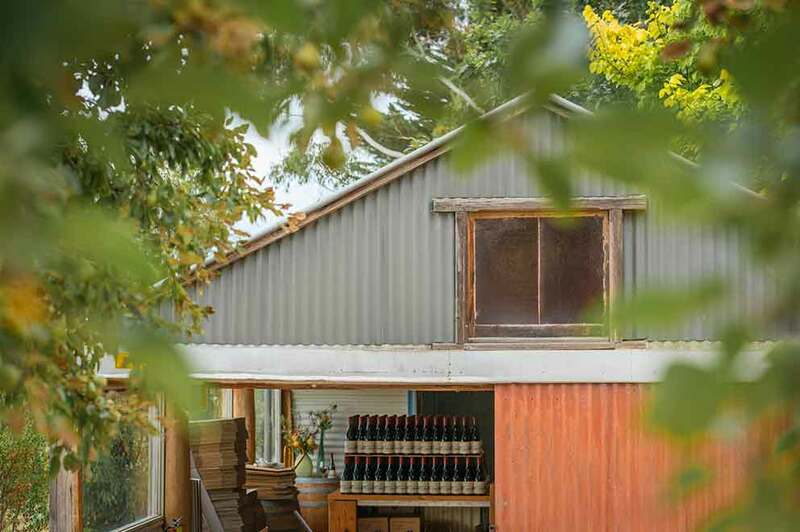 Wendouree is one of the most famous red wineries in Australia and a place that Stephen knows well, given he has been making the wine there for over 40 years. With the pedigree of Wendouree and Stephen’s winemaking finesse it’s no wonder that the Ashton Hills Sparkling Shiraz has been endorsed as one of the country’s sparkling reds, receiving the kind of accolades usually reserved for the most preeminent table wines. It captures a depth and intensity of fruit with an amplitude unmatched by most of its competitors. 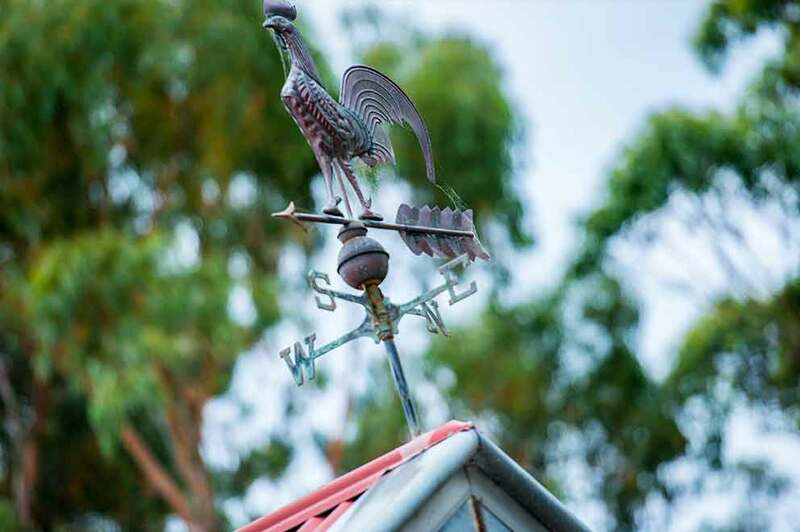 The Adelaide Hills is Australia’s most vibrant cool climate wine region and it is acknowledged internationally for its distinctive premium wines, viticulture and stunning scenery. The region is located in the Mount Lofty Ranges east of Adelaide, the capital city of South Australia. Stretching in a narrow band approximately 70km long, the highest vineyards are sited between 600-650 metres altitude around the sub region of Piccadilly which Ashton Hills calls home. The Adelaide Hills are universally acknowledged for their distinctive cool climate wines, viticulture and scenery. Despite his modest protest to the contrary, Stephen’s winemaking CV is an enviable one, with his life’s work at Ashton Hills complemented by three decades of winemaking at Wendouree, one of Australia’s most revered and unique wineries. The contrast in style between the elegant and delicate wines of Ashton Hills and the extraordinarily powerful wines of Wendouree could not be greater, and yet Stephen has managed to achieve resounding success in both. Following 30+ vintages at Ashton Hills, Stephen has become recognised as one of Australia’s finest makers and growers of pinot noir. His philosophy on the winemaking process is very simple, with a focus on minimal intervention and movement of the wine. The winery itself has an earthen floor and what is best described as “limited” winemaking equipment. Grapes are all hand-picked and gently destemmed, via a small customised, gentle destemmer that keeps as many whole berries as possible. 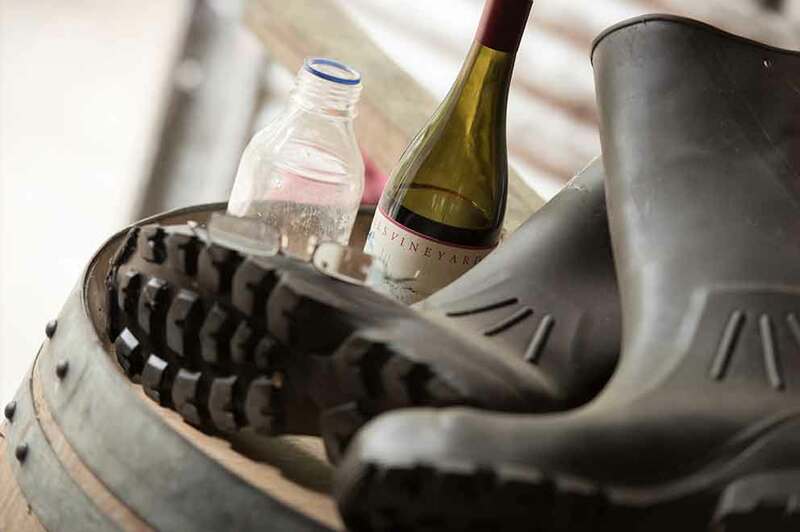 Fermentation involves open air tanks and regular hand plunging with temperatures monitored and managed utilising the cool night time temperatures common during harvest. Skins are then basket pressed and the wine is made without any sulphur additions until bottling. The red wines are raised in a combination of new, aged, neutral French hogshead barrels. Paul’s approach to winemaking is to bring the soul of the Ashton Hills and Wirra Wirra vineyards to every bottle of wine that is made. In 1998 he cut his teeth on cool climate wines starting at Petaluma under the tutelage of one of the legends of Australian winemaking, Brian Croser. At Petaluma, Paul honed his education in cool climate winemaking showing a particular flair for riesling and in 2002, journeyed to the Clare Valley to work with acclaimed riesling producer, Jeffrey Grosset, as assistant winemaker. Following Grosset, Paul moved to Knappstein, also in the Clare Valley, where he was appointed senior winemaker and manager in 2004. The call of McLaren Vale and the Wirra Wirra tribe came in 2008 when Paul joined as winemaker before taking over the reins shortly after as Senior Winemaker. Under Paul’s winemaking direction Wirra Wirra has enhanced its reputation for excellence in white wines, securing regular trophies at the Adelaide Hills Wine Show. At the same time, the reputation for top end reds such as the RSW Shiraz and The Angelus Cabernet Sauvignon continues to grow, while the enduring legacy of Wirra Wirra Church Block is in safe hands, with the wine cementing its position as one of the country’s most-loved red wine blends. 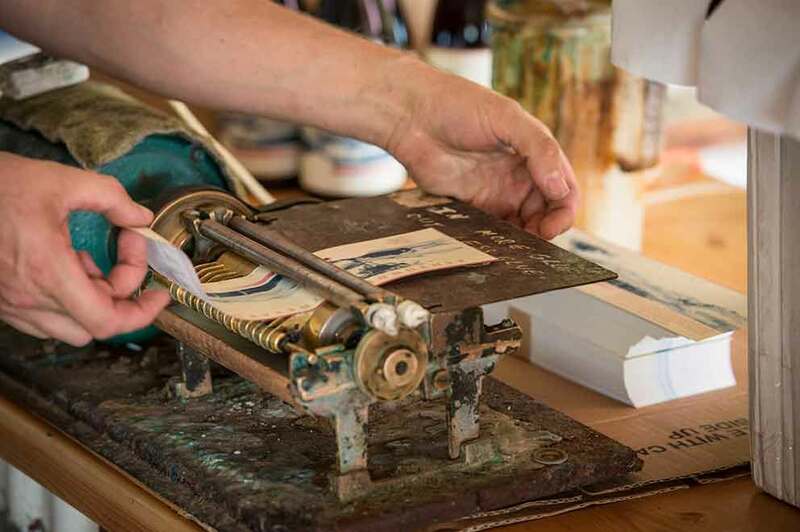 Paul now works closely with Stephen to create each vintage of Ashton Hills wines to the exacting quality that has been its trademark for so many years. Ashton Hills produces three pinot noirs in a style that reflects the region’s strong similarity to Burgundy. Production levels have stayed true to the boutique nature of the winery’s beginnings. Following the maturation period, a few barrels are carefully selected as being the “best of the best”, displaying the finest expression of pinot noir from the estate and with the potential for significant ageing. The Reserve is the pinnacle of the range showing lifted perfume notes, and a depth of flavour, character and length that should live beyond 10 years in the bottle. While displaying many of the traits associated with the Estate Pinot Noir, the Reserve sees more new oak and tends to carry greater weight and structure, providing the “bones” for extended cellaring. By its nature, quantities are very limited from each vintage. The Estate Pinot Noir is sourced purely from our five preferred clones. The pinot fruit is destemmed via a small, customised, gentle destemmer that keeps as many whole berries as possible. The fruit is then basket pressed, and the wine is made without any sulphur additions until bottling. Some whole bunches are included, and the percentage varies according to the style of the vintage. The pinot is then matured in one and two year old barriques prior to bottling. It is designed to be enjoyed upon release, however careful cellaring will see the wine evolve handsomely for at least another five years. The Piccadilly Valley Pinot Noir is a blend of fruit from premium Piccadilly Valley vineyards, topped up with a parcel of Ashton Hills reserve/estate fruit. The result is typically a medium bodied palate with the influence of Piccadilly Valley providing juicy fruit from the warmer clime, along with fine structured tannins that are typical of the Ashton Hills Vineyard. Ashton Hills crafts a limited amount of riesling in a signature European style with lightness of body and delicate intensity. Winner of the Best Riesling at the Adelaide Hills Wine show in 2001, 2005, 2008 and 2009, the Ashton Hills Riesling offers a tactful alternative to the stronger acidity of the Clare and Eden Valley rieslings. In a region whose reputation for world class riesling continues to blossom, it is a wine made in a style that is quite unique to Ashton Hills. In 2017, we released the Ashton Hills Piccadilly Valley Chardonnay as a limited release chardonnay from fruit chosen off the Chapel Valley block adjacent the old cemetery in Piccadilly Valley. The long-demolished chapel is remembered onsite by a miniature replica and now, this single vineyard chardonnay which is built with texture and character, which was always a trait of the original AHV Chardonnay. Stephen George’s take on this cult style is, without question, one of the titans of the genre. Given that its fruit is drawn from one of Australia’s most revered vineyards in Wendouree, including a healthy portion from vines planted in 1919, perhaps this will come as no surprise. Highly awarded – the 2010 was runner up for Sparkling Red of the Year in Tyson Stelzer’s 2018 Australian Sparkling Report, and crafted from only the best vintages, there’s no denying this special wine’s breathtaking complexity, texture and balance. Ashton Hills is justly respected for the class of its sparkling white wines, which are only produced when the vintage conditions allow. Produced in limited quantities, each of the Ashton Hills Sparkling Pinot Noirs cater for different palates with varying levels of dryness, but they are united in one respect – all have a purity of taste, finesse and a clean finish that are typical of the style and the region from which they come.